At SJM Softech, we believe that e-commerce is more than just having a website that facilitates business transactions over the internet. We believe that your company website can be empowered to create a genuine, one-on-one relationship with every customer. We also believe that every transaction carried out on your e-commerce website is an opportunity to convince a customer to keep coming back for more. In this way, we ensure that every potential customer is converted to a long-term customer. SJM Softech will analyze the data generated from all your business transactions and create customized web pages automatically, send e-mails notifying your customer of sales and special promotions or even plainly sending a meaningful thank-you e-mail. Our vision of e-commerce as a business solution is holistic. We are convinced that our e-commerce solutions can embrace your business model comprehensively without changing existing inherent business processes. Our experience in e-commerce has also shown us that that implementing an e-commerce solution is also an exercise in brand building. After all, your website is the first point of exposure of your brand and the brand message. We believe that it is important that every business transaction carried out on your e-commerce website reinforces your brand value and drives the brand message home to the customer. Catalogue Organizer allows you to add your products, services, or items to logical categories along with information such as pricing, product code, size, and product description. The Order Management feature tracks and manages the status of each transaction carried out in your e-store. Using this feature, you can record and track each transaction to the most granular detail level including customer information. 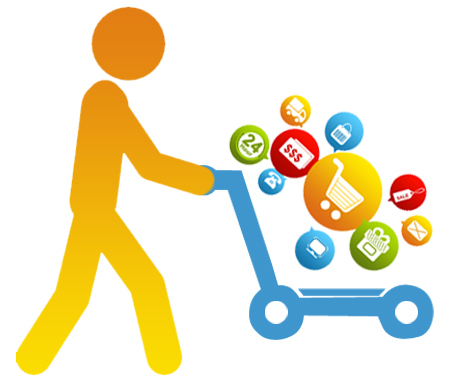 A Shopping Cart to allow your customers to gather products they wish to purchase into a "basket". The Shopping Cart displays vital information such as product name, quantity ordered, price, and product size appropriate to each transaction. A Multiple Currency Converter that enables your customers to convert product prices from many different currencies. The Country-Specific Database Loader imports database information specific to countries to your e-commerce website. A web administrator's interface with ability to manage orders and product catalogue details, upload files images to the e-commerce website, alter content in your website, setup shipping and sales tax specific to your products and also set up company specific discount algorithms. Planning Your Next E-Commerce Project?